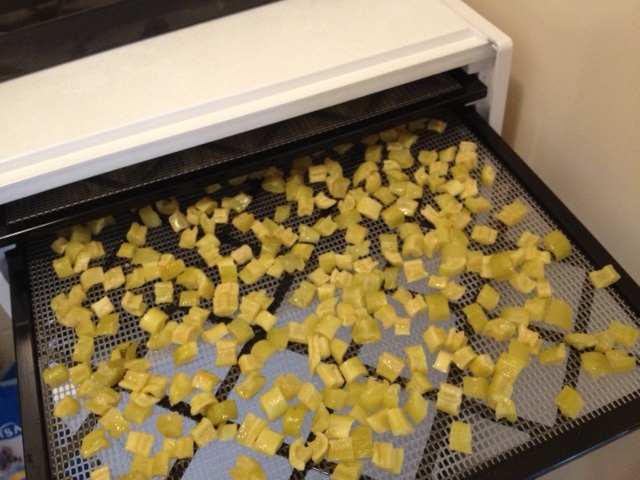 But I like playing in the kitchen, and I have a new toy: last year I used some of the birthday money I got from my mum to put towards a dehydrator. It was a big bargain, a demo model and thus discounted, but in perfect condition and sold with full warranty. 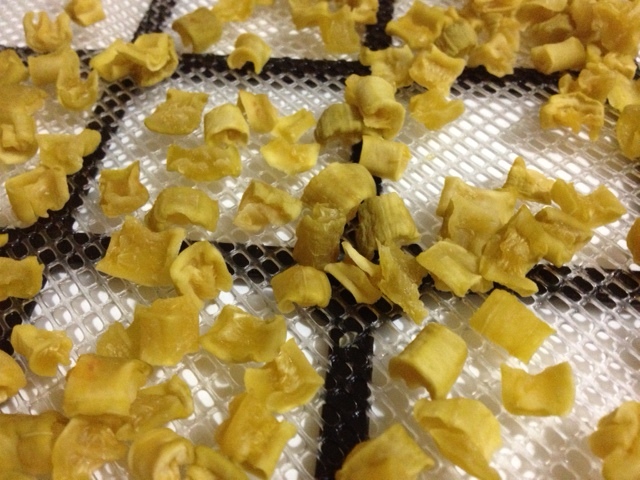 But for months, the only one having fun with this purchase was my kitty cat, who thoroughly enjoyed playing in the box the dehydrator was shipped in. So stumbling across this recipe gave me a chance to try creating a new “fruit” (the folk posting the zucc-raisin instructions created it to be used in place of other dried fruit in baking, or to be sprinkled on granola), and to use my newest kitchen toy for the first time. Then I did the pumpkin. 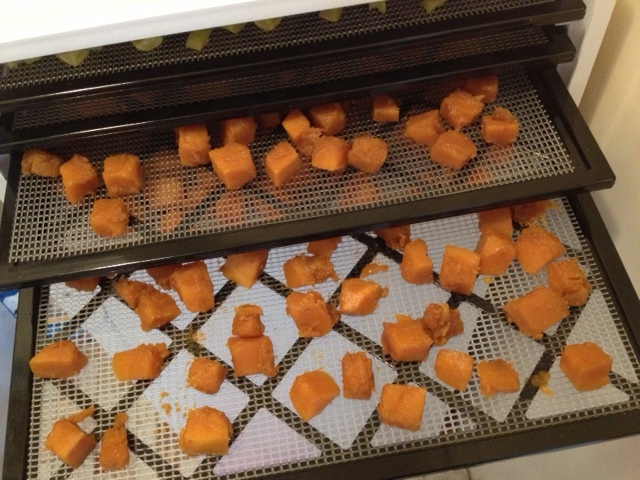 With both, I stuck pretty much to the recipe (for the pumpkin, I used butternut pumpkin), substituting the dehydrator for an oven drying for the candied pumpkin, and drying until “chewy” rather than still sticky on the outside, since I wasn’t planning to roll in sugar. 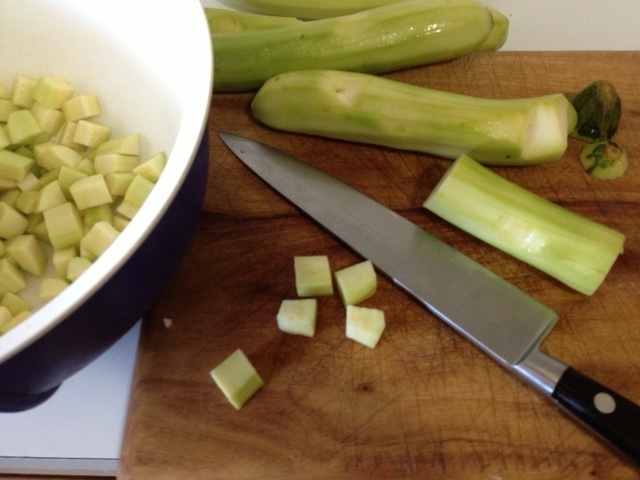 You’ll notice my zucchini is a lot lighter than the one shown in the post – they used a brown sugar and I used white. For the pumpkin, on the other hand, I did use brown sugar. As a first-timer at this, I was a little surprised to see what a small amount of dried “fruit” I ended up with – about one cup of zucchini and two cups of the pumpkin – but I was really happy with the result. The zucchini was definitely a favourite – not only did I use a bargain bag of discounted zucchini on sale at the supermarket, but the “zucc-raisins” were really cool. 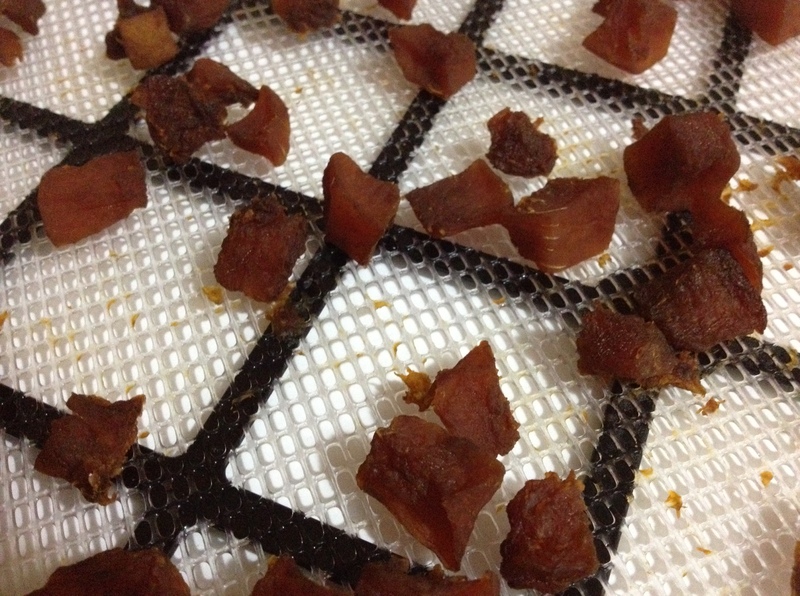 Crispy, slightly sweet, definitely a good substitute for dried fruit. The pumpkin? Well, I liked it, but it definitely still tasted like pumpkin. More for savoury snacking than sprinkling on granola! I made one big mistake in this process. 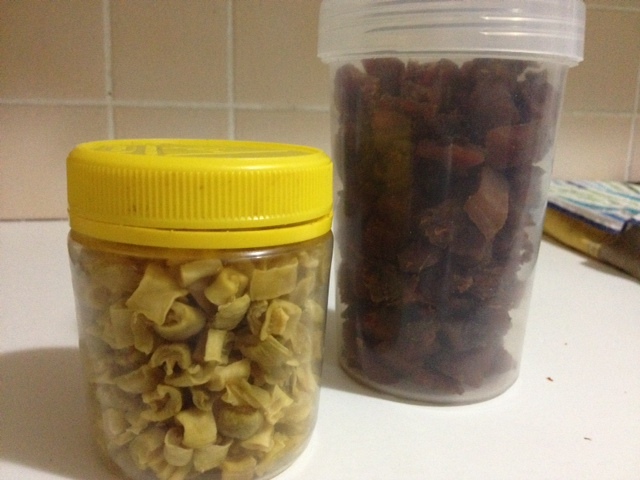 I put the “fruit” into airtight containers and popped them in the cupboard. I enjoyed zucchini on cereal, and both tossed into a “fruit” and nut mix for snacking. But then one day, only a few weeks later, I opened the cupboard to discover a small disaster. Both had started going funky. You know, growing furry bits… ewww. So into the bin it all went. The pain was slightly lessened by the fact that I had also just discovered that butternut pumpkin – which I had used for the candying – is higher in sorbitol than some other pumpkins and I shouldn’t be having too much of it anyway. So would I make them again? 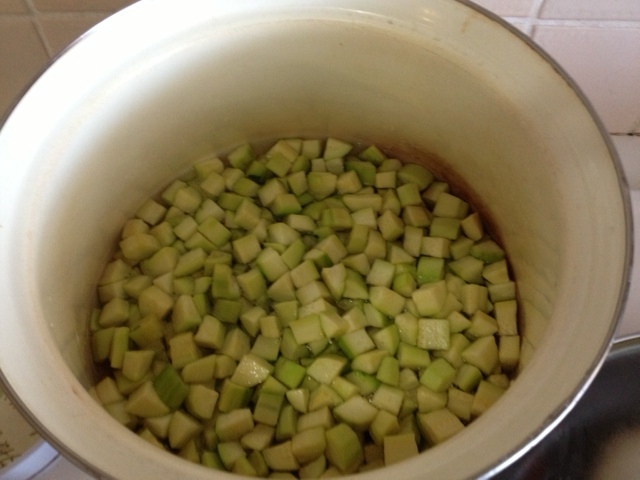 Zucchini, definitely, and just as I did it the first time. Pumpkin, maybe. It was just a bit odd, a definitely pumpkin flavour with quite a caramelised brown sugar richness. I think I will give it a go, but I would try it with white sugar rather than brown, and use a different pumpkin. While strong flavour is great for say, roasted pumpkin, something with less flavour than a butternut might actually be an advantage for this one. But next up, I’m really tempted by this recipe for peanut butter and banana graham crackers. How good does that sound!